“The Last 5 minutes” confronts such disconnects in our already fragile engagement with reality and history. 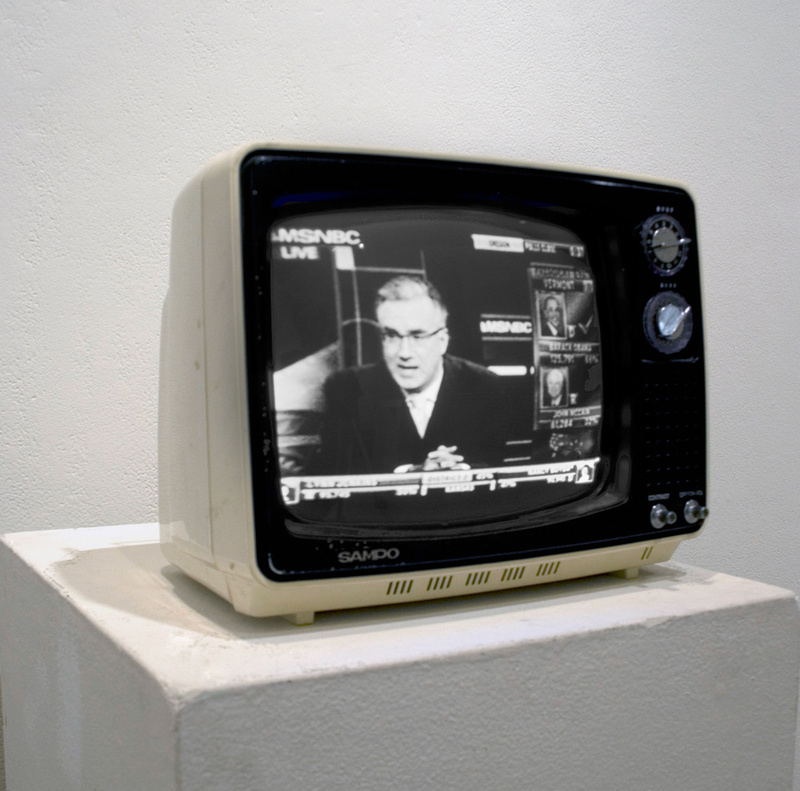 A customized vintage television set plays a portion of 2008 presidential election coverage, allowing the user to change channels which dissect, and reorganize the video feed word by word. Each channel offers logically grouped cataloged parts of speech, but renders the broadcast nonsensical. Such juxtaposition of old technology with the contemporary cultural content provokes a shift in our historical perspective, and suggests an examination of our political system as well as its relationship to media and the public.